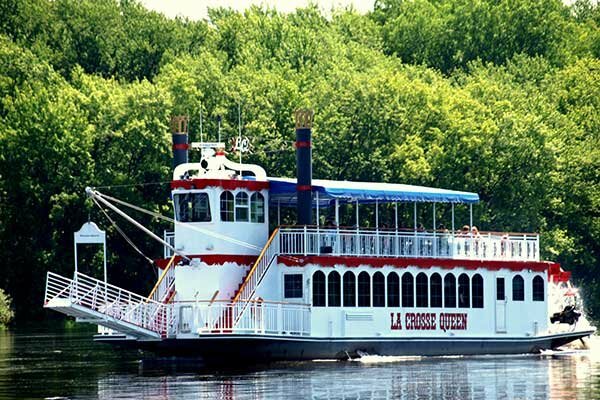 We’ll begin our day with a 3-hour luncheon cruise on the Mississippi River aboard the La Crosse Queen paddle wheeler. Watch for eagles and other wildlife as we cruise past steep bluffs and hardwood forests. If conditions allow we’ll enjoy an interesting cruise through a lock and dam. A delicious lunch featuring roasted turkey breast and Swedish meatballs is included onboard. After our cruise a local guide will join us for a motor coach sightseeing and history tour of the La Crosse area. We’ll see homes of early entrepreneur lumber barons, stop atop Grandad Bluff for spectacular views of the River valley, enjoy a guided tour of Lock & Dam #7, visit Southwind Orchards for apple shopping and much more. This will be an amazing fall colors excursion to one of the most scenic areas in the Midwest. Minimal walking.